There is no question that assessments hold a valid and required place in the classroom. Without the ability to assess a student’s progress, teachers aren’t able to adjust instruction to meet learning needs, correct errors in reasoning, or truly know when mastery is taking place. But for many teachers, the weekly quiz grades are being replaced instead with standards progress monitoring in more unique and creative formats. This week, why not trade out those traditional assessments for something different? Here are a few of our favorite alternative assessments and ways ClassMax can help you collect the data. Individualized Station Rotations – While station rotations are nothing new in the world of learning, allowing students to rotate at their own pace through a specific set of prescribed stations just for them can seem like a logistical nightmare for teachers. In my own classroom, I collected most of my ClassMax data during station rotations. Students were not permitted to move stations until I came over and assessed their work using the progress monitoring component of ClassMax. This also meant I had reduced grading because I was assessing them on the spot with the ClassMax progress monitor instead of grading a pile of work later. When it came time to put a grade in, I ran the report by standard and date and used that data from ClassMax as my grade. It also helped students work towards mastery because I wouldn’t let them move on until they showed mastery at either a 3 or 4 on my ClassMax scale. PBL (Project Based Learning) – In the past few years, PBL has become a popular and innovative way of assessing student mastery on specific skill as they apply to real world examples. If you haven’t dabbled in PBL, it can seem a bit overwhelming. The word “project” can often insight fear and loathing in a teacher… But, fear not! At their core, PBL assignments are nothing more than a series of assessments that all lead towards solving a problem. A great place to start for PBL tasks is TeachersPayTeachers. A quick search for your subject, grade level, and even specific standards will return already compiled units that make for great ongoing learning and assessing throughout the year. For braver teachers, try DefinedStem for PBL tasks and documents, including rubrics and exemplars. Use ClassMax on your PBL days to collect data on standards-based progress as they work on their projects in team. 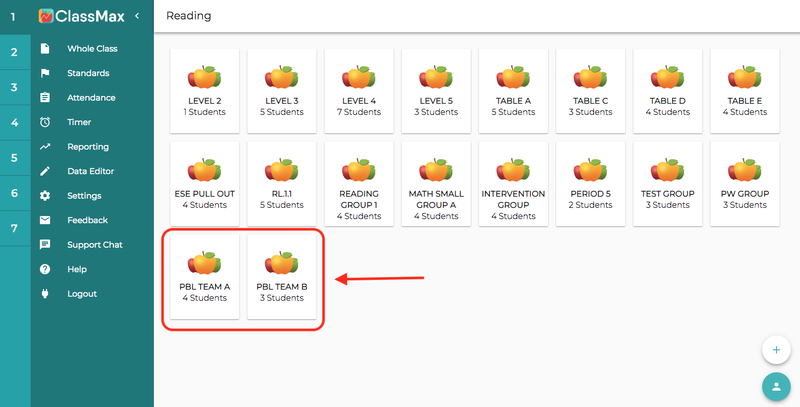 If they are working in project groups, create a group in ClassMax and track progress for several students at one time. One-on-One Conferencing – One of the most effective ways to accurately assess student learning is through one-on-one conversation and interaction with a student about a specific standards, skill, or task. You might have an advanced or gifted student who can not only show demonstration of mastery of a skill, but can explain their thought process orally. Or, perhaps a student can show mastery, but struggles to explain. Or, they might even be able to explain theoretically, but have trouble demonstrating. Before beginning your conversations with students, set your scale of understanding with your PLC so that you are sure to be assessing students equally, across the grade level. Have a list of questions that you ask all students and assess on the ClassMax four-point scale based on their proficiency. Use the notes out to the side of the progress entry to write down things about their responses that you want to remember later. Role-Playing or Dramatic Interpretation – (Personally, I have to give myself a minute to take a deep breath and get over my middle school fears of role playing in front of a classroom of kids… Okay, I think I’m better now…) Putting aside my own childhood fears of public performance, role-playing or dramatic interpretation is another great tool for assessing student learning. Keep in mind that not all of your students will be excited about acting out scenes or ideas in front of their peers, so it might be helpful to have an alternative assignment or assessment for those who don’t wish to participate. But for those students who have a flair for the dramatic, role-playing can be an innovative, active way to have students express their understanding. One of the most engaging lessons I have ever seen was a middle school math teacher who used role play for geometry formulas. Students had to use groups and role play to explain a specific formula using metaphors or similes. Talk about engaging and complex learning! When teachers think outside the box, so do students! 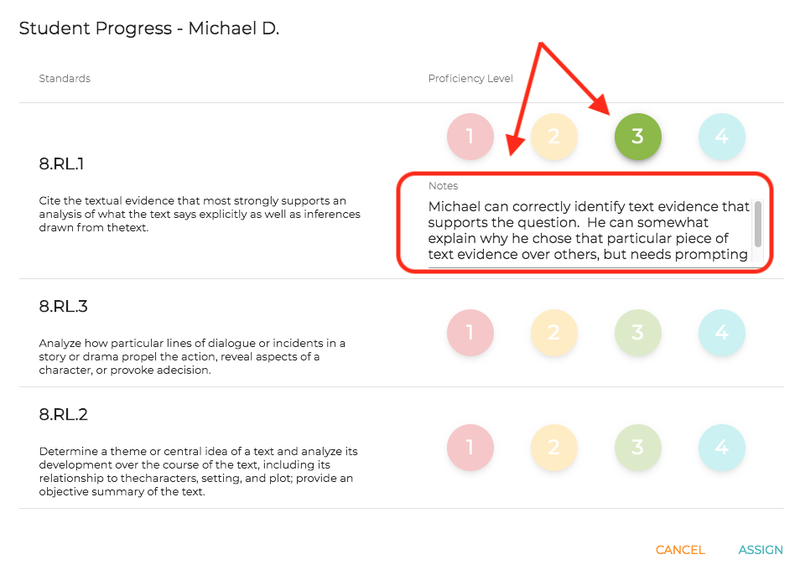 Use your ClassMax progress-monitoring to assess students as they perform. Be sure to give them a rubric ahead of time so they know what will constitute a 4, 3, 2, or 1 and how these will correlate to a grade. Try uploading our custom standards on group work or projects to assess students on these skills. Assessing students is necessary in a classroom, but that doesn’t mean it has to necessarily be pencils, paper, and bubble sheets. Stretch the limits of assessing in your classroom and watch your students stretch the limits of their learning! This entry was posted in Groupings Feature, Innovative Uses, Progress Monitoring. Bookmark the permalink.